Have you gone to LIV Glam lately? 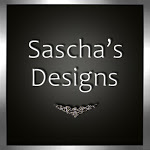 Samantha Jones has been hard at work creating intricate textures for her designs. While I love pops of color, I also like to dress in neutrals. Blacks, whites, and grays have a timeless elegance. However, Sunshine’s ensemble Lea Print Dress and Jacket allows you to change the print of the dress if you still like that pop of color. My Avant Print dress also comes in another shade, but why not see for yourself? By the way, the tote comes with my ensemble, so click here for your lift to LIV Glam and happy shopping!